Long-time readers of this blog may remember this old series that I never finished, but now I will. As it turned out, I never wrote to the cinema – partly because I forgot to; partly because my friend later suggested that it may cause more problems than it was worth, and partly because of my next two ticket-buying experiences. The next two films my friend and I saw after Your Highness were Snowtown (released in the US as The Snowtown Murders) and The Hangover Part II. From memory, both of them were also rated MA15+, although Snowtown may have been rated R.
Although there had been no trouble with buying several tickets for Your Highness, I was still prepared for the worst when I tried again for The Hangover Part II and especially Snowtown, a controversial film based on the Snowtown murders. Yet, both times nothing happened. And on one of those occasions (I can’t remember which), I was pretty sure that the young cashier who’d refused me service for Paul was on duty, and for a while it looked like he could be serving me again…but I ended up being called another cashier instead, who sold me my tickets with no problems whatsoever. As for those two films – The Hangover Part II was good silly fun like its predecessor, but the powerful Snowtown haunted me for weeks afterwards. It’s a very grim yet highly compelling account of not only terrible serial-killing but also a much blighted community and the people who suffer living in it. 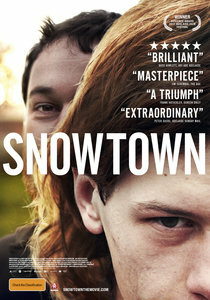 Snowtown reminded me very much of the similarly powerful Henry: Portrait Of A Serial Killer. After Snowtown and The Hangover Part II, I still thought about writing to the cinema regarding my Paul experience. Weeks and then months passed, however, and I forgot about doing that and also posting further in this series. A few months later, as I recall, I mentioned to my friend about my writing to the cinema, and he commented that maybe it wasn’t worthwhile because it might cause more trouble than it was worth. And since then, I have never again had issues with buying several tickets at a time for MA15+ films. More months and then finally the past year or so went past, and I kept on forgetting to update this series. Today, though, I decided that enough was enough, and so here we are. This entry was posted in Action, Life Challenges, Life Strategies. Bookmark the permalink.